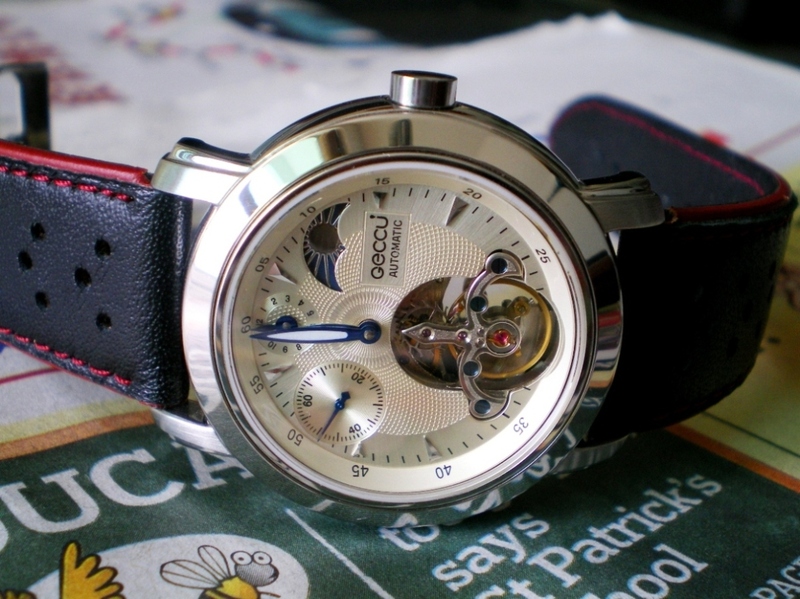 A mechanical watch with moon-face dial, apparently made in Japan was sold in 2006 in a high-end luxury outlet in Taipei city. 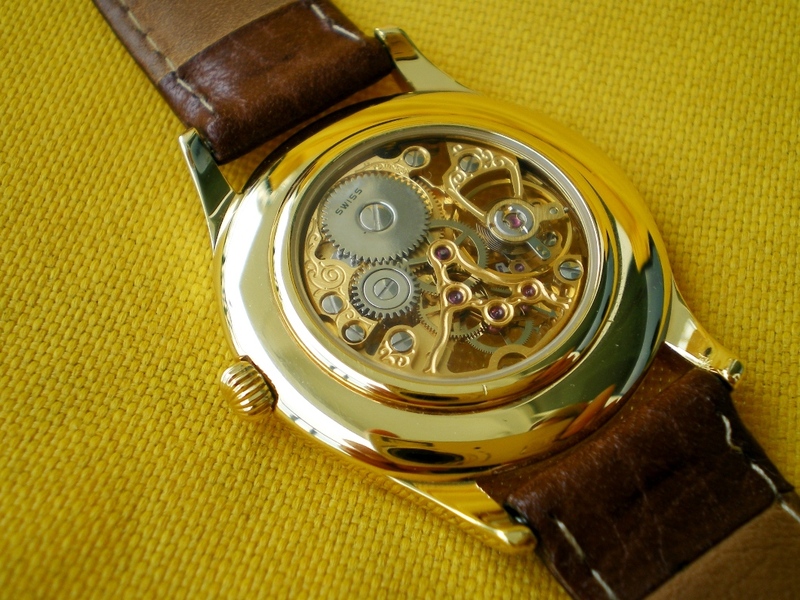 This watch deminstrates very high quality of workmanship as well as its design style – purity. 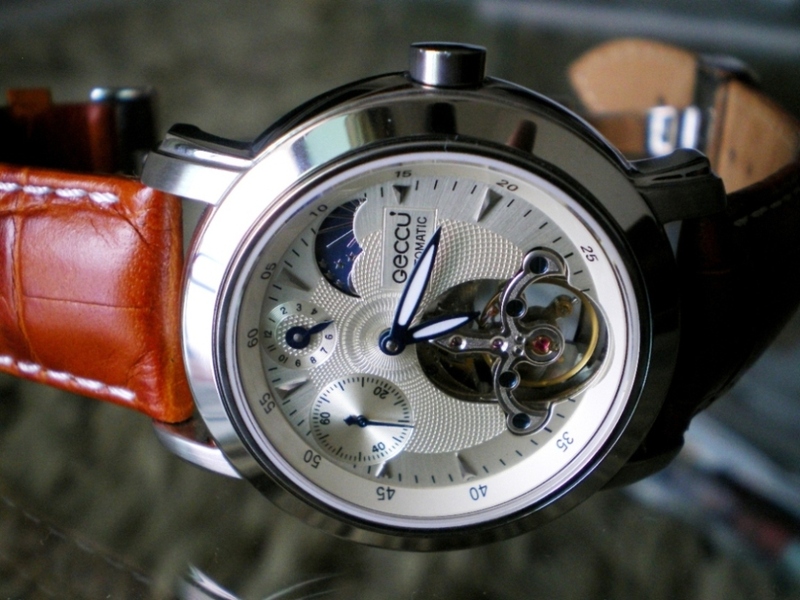 Reader will appreciate the watch’s fine craftmanship as shown in the pictures. 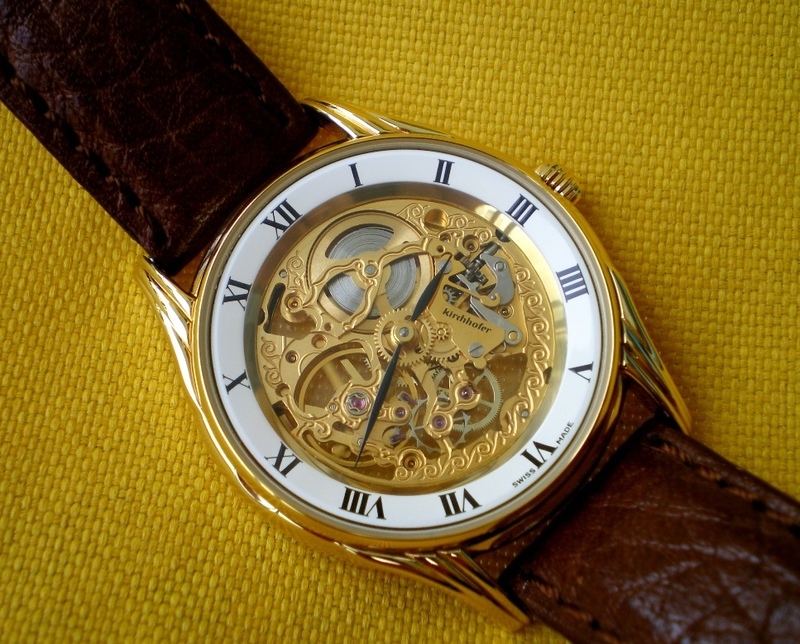 An unique piece of watch made in Interlaken, Switzerland, bears the signature of Kirchhofer on its mechanical skeleton movement. Kirchhofer is a famous Swiss manufacturer in making music box. 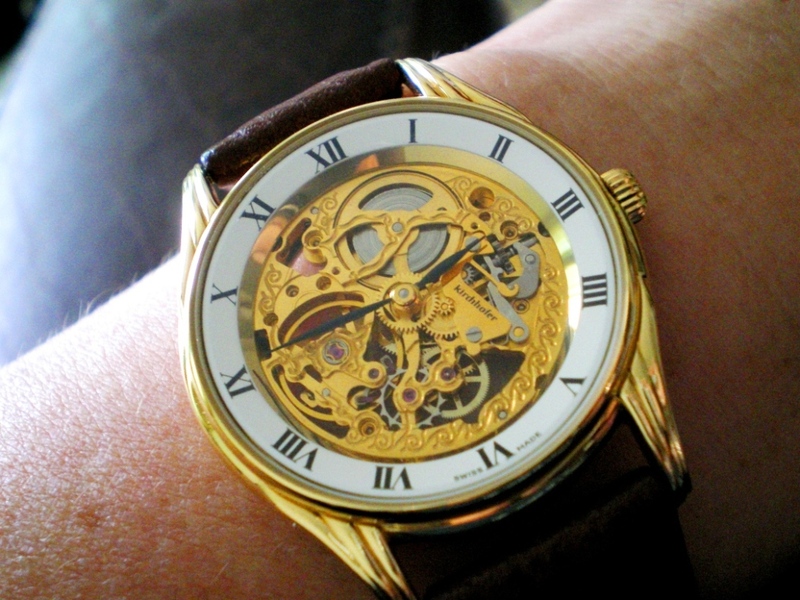 This watch carries its house-brand apparently as i was told, used a hand-winding movement produced by Franck Muller. 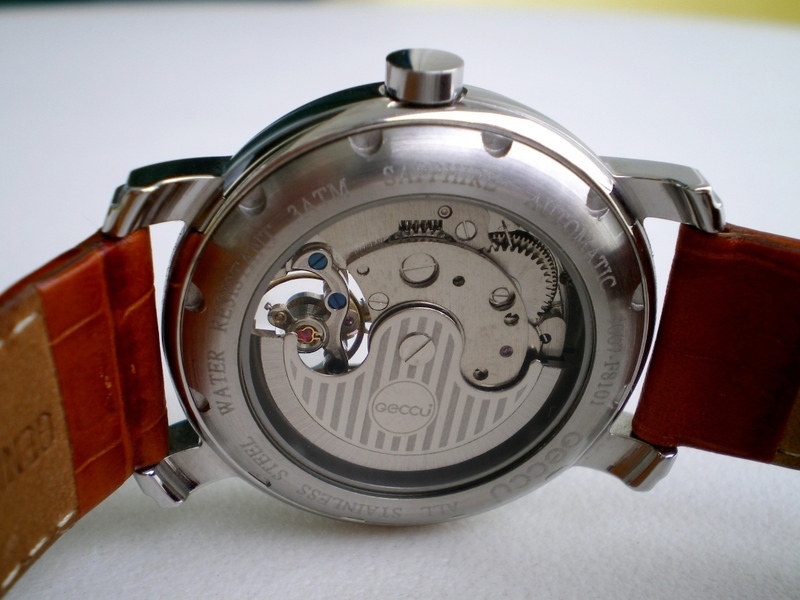 Hence, it is not surprising that the watch demonstrates the Swiss quality of both brands. 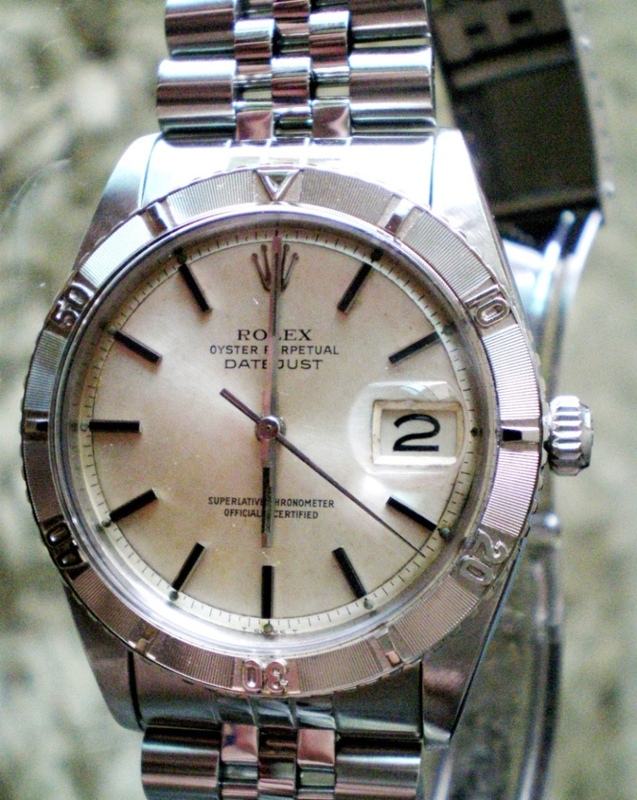 The Rolex Explorer had become famous when Sir Hillary and his Napalis guide were at the top of Mount Everest. It was advertized by Rolex that they wore Rolex Explorer… for the mission. 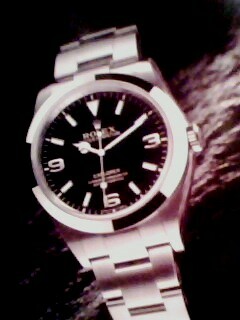 And on its dial the Rolex Explorer placed the number of 3, 6 and 9 respectively on the corresponding hour markers. 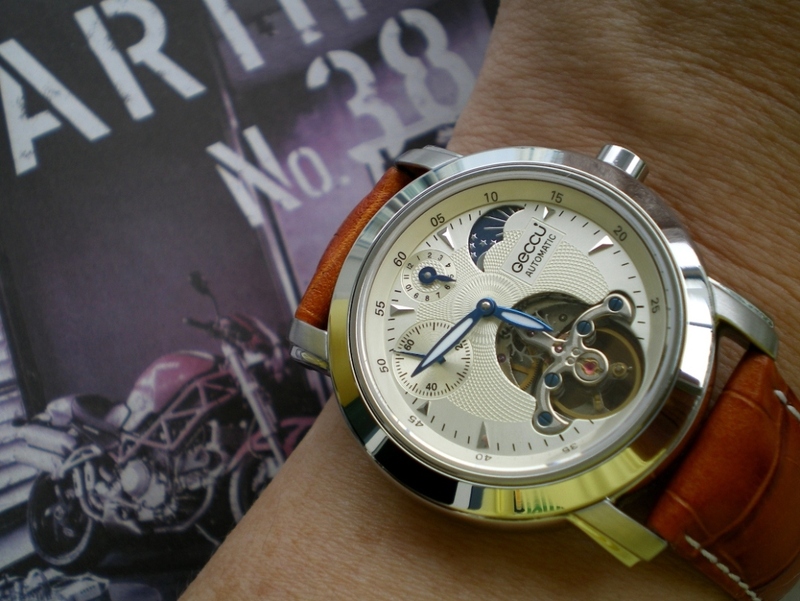 Hence, Hong Kong collectors called this Explorer with the nickname of “3-6-9”. 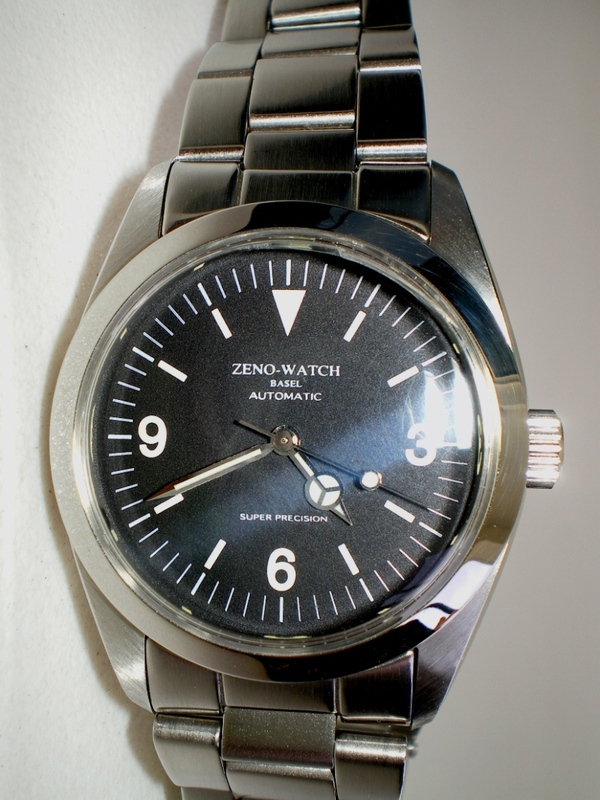 In year 2005/6 the established Swiss watch maker Zeno Watch Basel was asked by importers from Hong Kong to produce a certain quantity of automatic wrist watches with the “3-6-9” design simliar to the Rolex Explorer. That is what readers see on this page. It was not sure exactly how many pieces of Zeno Watch “3-6-9” were produced for Hong Kong market, but it was known to be not in big quantity. I was lucky to come across this piece in Macau. Here, see for your self. 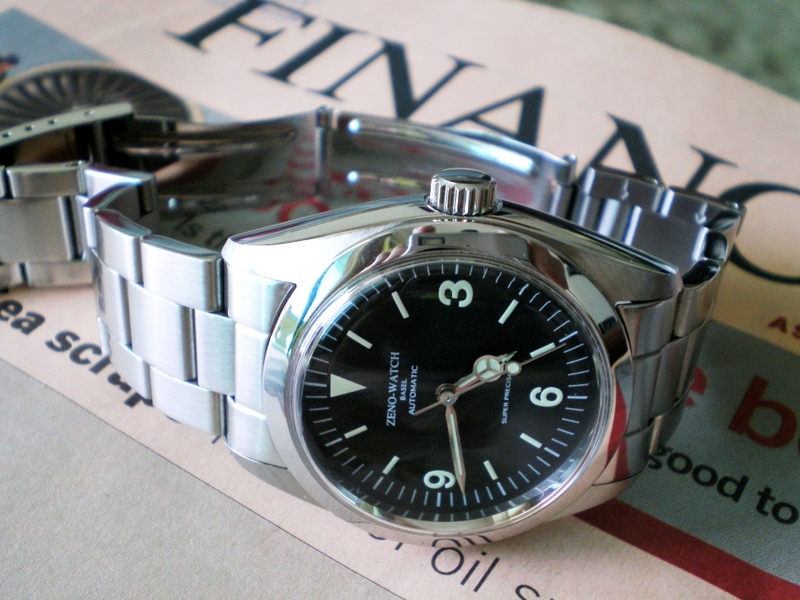 And in comparison with the latest Rolex explorer also in picture provided. 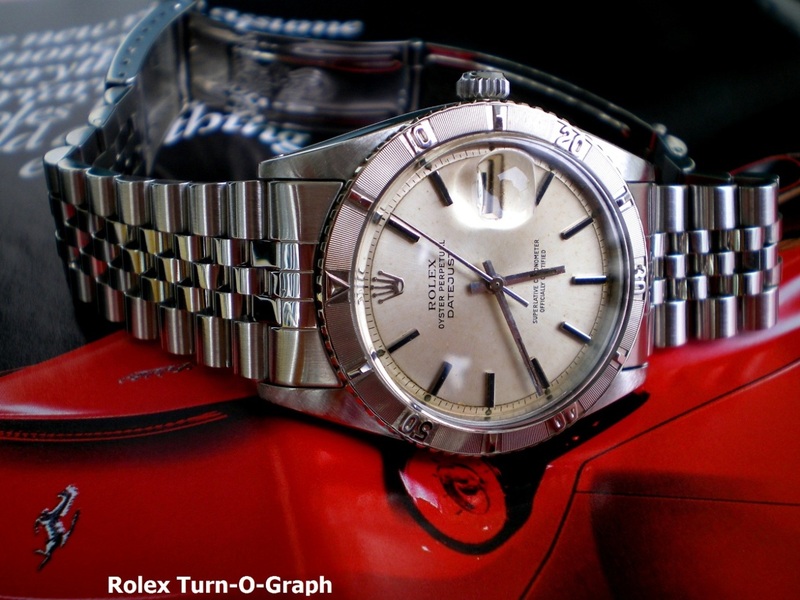 This is a rare vintage Rolex sport watch called the Turn-O-Graph. The watch bezel was made from white gold and it can be rotated to keep time. 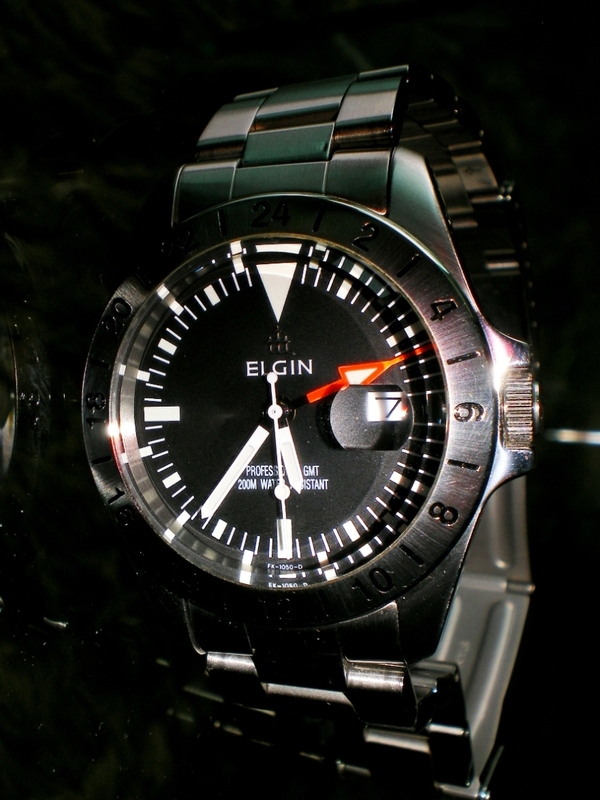 The watch has a raised plastic glass to protect its dial. 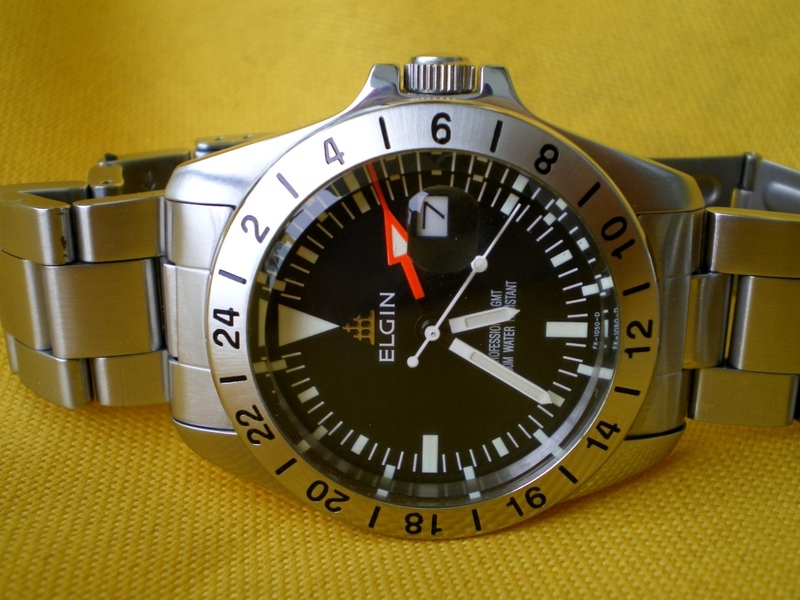 An explorer styled GMT sport watch signed with ELGIN, a supposedly out of market (in 1960s) watch manufacturer. This watch was sold in Tokyo, Japan in 2002. 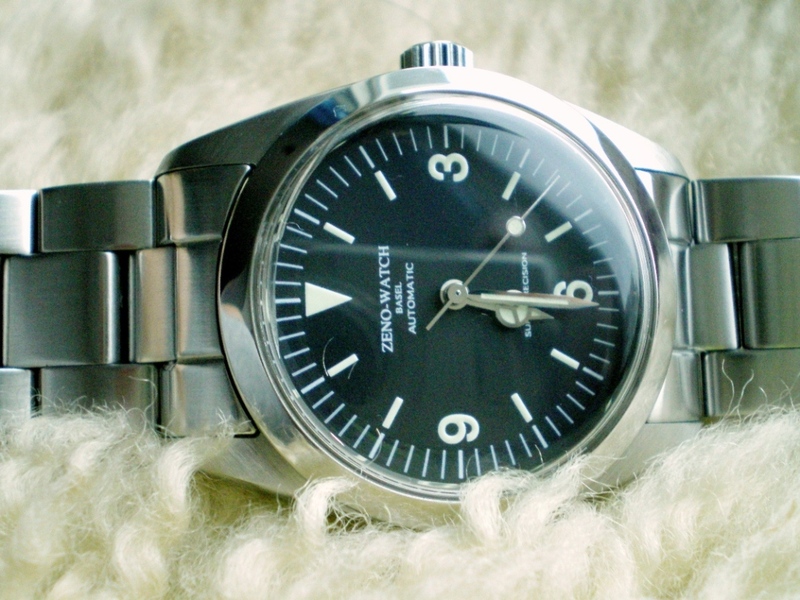 The watch resembles the style of the first generation of Rolex Explorer II. The red colour hand shows a second time zones as well as Night-Day hours on the watch bezel.